Imagine that a producer is told: “The most prominent musicians in the world would like to use your new product!” And when he asks about the names of those musicians, he receives the following list: The Animals, American Blues, Harry Belafonte, Johnny Cash and June Carter, Joan Baez, Bobby Darin, Neil Diamond and many others… It has to be a great product since so many famous performers wanted to use it. The producer should also be someone very special. Tim Hardin sold his copyrights in the late 1970s, and died of a heroin overdose a year later. Forming a very successful business, and generating interest from all the big players in that business, does not guarantee that you will lead a happy life. Your habits, your personal issues and how you view life in general will influence the picture of your happiness. It should not be forgotten that the main aim of being an entrepreneur is to strengthen your happiness in your journey through life. If there are other issues, which prevent you from achieving the aimed end results of your being an entrepreneur, then you should first resolve those issues. Otherwise, you will hold your business responsible for all the failures. 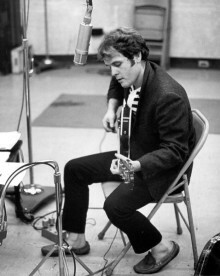 To listen to If I Were A Carpenter from Tim Hardin, please click here.